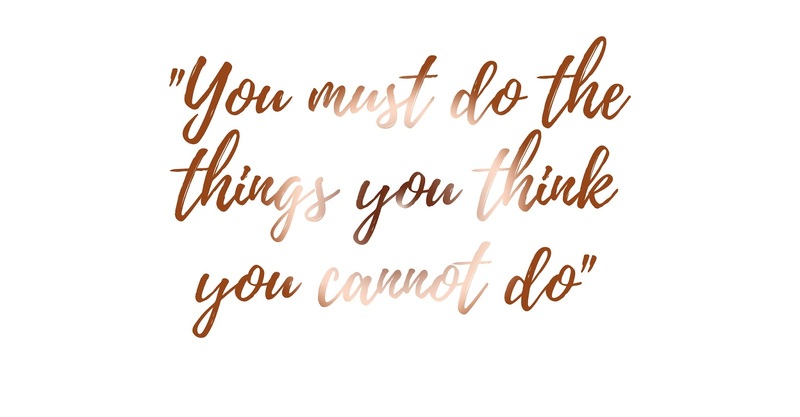 As many of you have requested, today I am sharing with you this weeks motivational Monday even though it is no longer Monday! This week's motivational Monday is based upon belief and courage; the two things you need in life to succeed, but also the two things which many people really struggle with. I for one am one of those people who used to really struggle with self belief and courage. I didn't believe I could do anything and I definitely didn't have courage. However as I've come through University and starting my blog last year, courage and belief are two areas which I've developed in and I can finally say I have both and I hope one day, if you're reading this and struggle with these two areas too, you'll be able to say you've got both of these strengths too. Something I realised the other day is so many people have the courage to begin something but then they quit mid way, or even a little while after beginning. 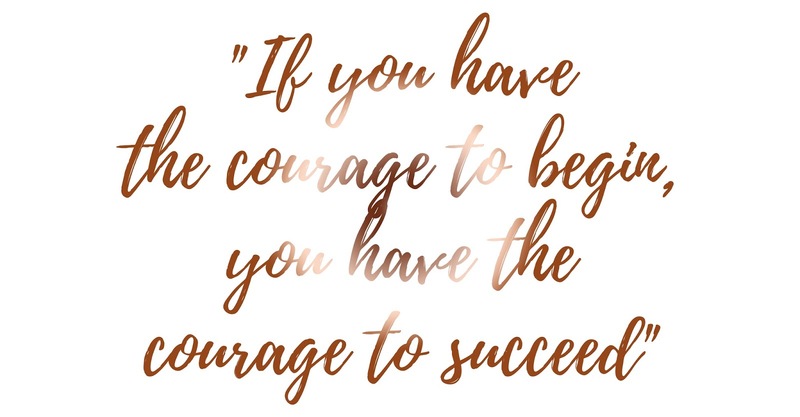 But if you have the courage to begin, then I can promise you have the courage to succeed. It just takes that little bit of self belief in you to get there. Instead of quitting, I think it's important to think about how far you've come and how far you've left to go and leaving yourself little goals along the way. 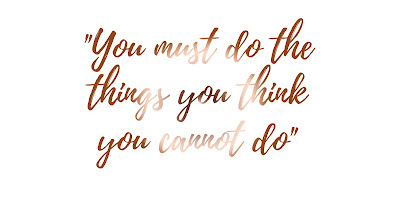 While also finishing my second year of University with a 2:1 and also going past my first year blogiversary, I've also realised that when you think you cannot do something, you should go for it at full speed until you achieve it. When people asked me what I wanted to do when I left school, my answer was "anything but University". University was some where I didn't want to go and I didn't think I'd achieve the grades I needed to even get into University. However, with the courage and belief, and a heck load of determination I got through college with a D*D*D*. The highest mark I could have possibly achieved meaning I had the opportunity to go to University. I personally would not say University is any more difficult than College, I actually had a larger work load when I was in college; I just didn't have to Harvard reference absolutely everything. Coming out of my second year with a 2:1 is an achievement and something I am so proud of. I never thought I'd be able to even go to University, so to do it and come so far; I couldn't ask for anything else. The thing is, it's the same with blogging. I read so many people's blogs about mental health and fitness before I started blogging and they inspired me to help others too, because I knew I could. But I never thought my blog would get anywhere and even after a day I thought to myself it was completely pointless because I'd never gain a following or I'd never help anyone. Although I thought these things, I've done everything I thought I might not be able to do. I've worked with brands, I've helped people, oh so many people and I have hit every single goal which I've ever created. But I needed the courage and the belief that I could do these things, because without these two shining stars; I wouldn't get anywhere. If you're struggling to find courage and self belief, then think about where you want to be and just head in that direction. It'll all come flowing! Great read! Congrats on having the courage to push forward and going for what you want! I never thought I would go to University and graduated with a 2.1! You can do anything you set your mind to.